Our instructor, Donald Wecklein, is known internationally and is an expert on cabin safety and flight attendant training! No other school compares to the level of expertise we offer future flight attendants preparing for a career change. If you want the best qualified to help you, you’ve found the right school. Presenter at the IATA International Cabin Operations Safety Conference, May 8 – 10, 2018 Shangri-La Hotel, Bangkok, Thailand. Donald’s topic covered “Was it the crewmember or the system that erred?” Meaning, when flight attendants make errors, not always was it the crewmember’s fault. Sometimes it’s the system, the content in the manual, or content missing from the manual or training program that was a factor in why the error occurred. Presenter at International Civil Aviation Organization: ICAO APAC (Asia and Pacific) Cabin Safety Conference, ICAO Building August 15 – 19, 2016 in Bangkok, Thailand. 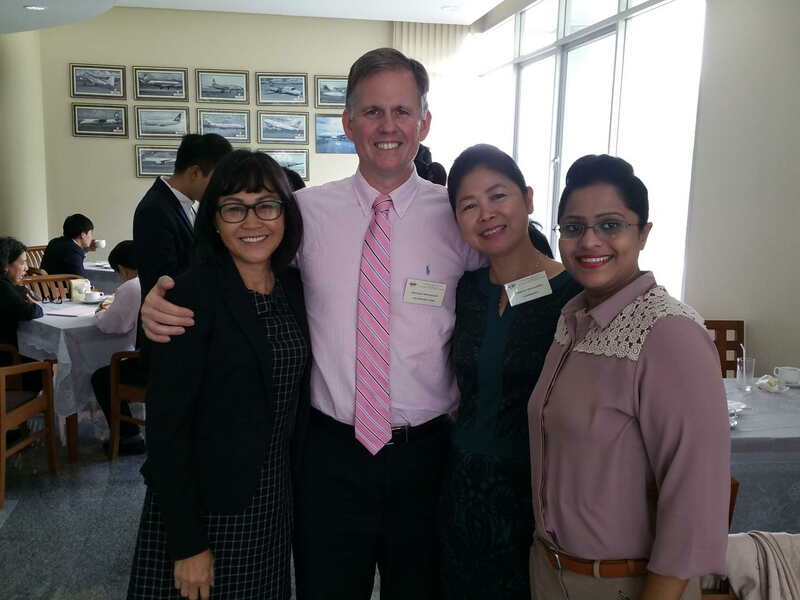 Donald spent a week in 2016 as a guest presenter, together with another cabin safety professional and friend from the Singapore Aviation Academy, presenting to flight attendant training department and cabin safety delegates from 17 different airlines throughout Asia.